Mercury Two LED – a range of high efficiency recessed LED luminaires, manufactured to a high spec, incorporating high standard T5 LED lamps and high output aluminium louvre . 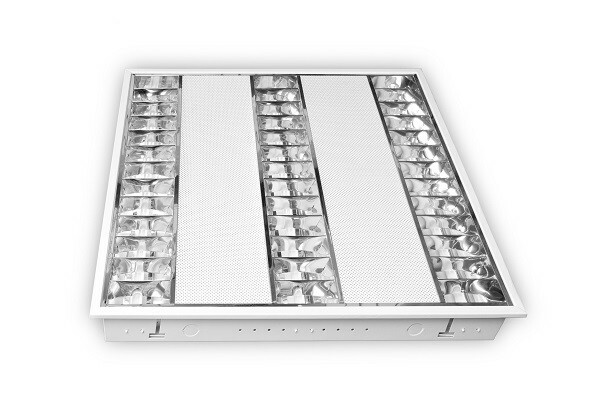 This fixture is manufactured to allow for maximum light levels using the lowest possible wattage. They are suitable for commercial applications. Complete with Cat2 aluminium louvre with unique curve design specifically manufactured for this model. Mounting clips for plasterboard ceilings available at additional cost. Supplied with T5 long life LED tubes using Epistar LEDs.